7 Online-Shopping Websites Every Desi Fashionista Should Bookmark! Comments Off on 7 Online-Shopping Websites Every Desi Fashionista Should Bookmark! We all love being fashionable, yet desi. So here are websites that will help you keep that desi-ness alive! We Indian women, secretly love everything desi, dont we?! To save you from getting stuck in the awful city traffic, we’ve listed a few websites where you can shop your heart out. And if you think Indian wear is boring, trust me these websites are going to make you think again. Let’s give our wardrobe a new update. Are you ready? Ajio.com is for the one that’s indie at heart. This website has a dedicated section called indie, where you can find all your hearts desires. From accessories to fabric to sarees. You name it and this website provides them for you. Trust these guys to get you the best fusion wear available. All orders above INR.999 are shipped free of cost. For any orders below INR.999, a fee of INR 99 is applied. Jaypore.com is probably one of the most famous in this category. This website curates all kinds of handicrafts from fashion to home. Their silver jewellery and hand-woven sarees are droolworthy. Shipping within India is free for all orders above INR 999. For orders below that, they charge a flat INR 100 shipping fee. The Loom has extremely different styles. Their designs are quite quirky and fun. The Loom brings you beautiful Indian handcrafted products directly from artisans all over India. So if you are looking for something with an electric vibe and what gives you a sense of India as a whole, then log on here and start shopping! Shipping within India for orders above Rs. 1,999/- is free. Boho-chic meets Indian prints meets vintage vibes. Some of the most sought after celebrity looks are from here. Sonam Kapoor is seen quite often in this brand. If it’s Sonam approved, it’s obviously on this list. Also, they have very cute caption collections named after places like Pondicherry and Bhutan. Free shipping on all orders just makes us want to buy their entire website! Vajor has all beautifully designed and hand picked ensembles. Gypsy dresses with statement sleeves and indie prints is what makes this website. And oh, I forgot to mention, it’s quite affordable and easy on the pocket! Free shipping for above INR 1000 in India. As the name suggests, The Secret Label brings together a colourful blend of ethnic and western wear brands that only a handful people would have heard of. You could be a free-spirited boho, a lover of indie or ever-sophisticated; you’ll definitely be able to find a part of you in what this website offers. Shipping is free for all orders within India. Sounds amazing, right? 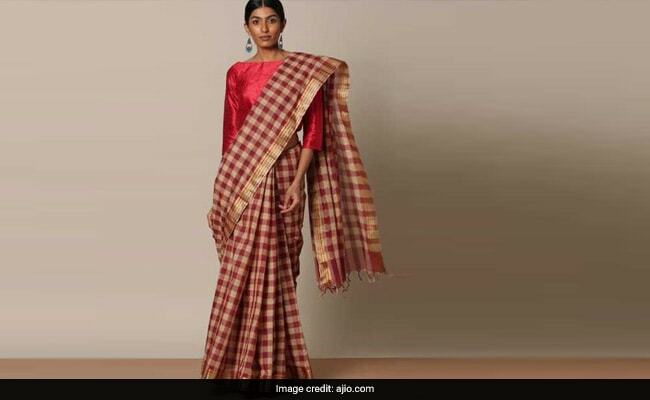 Kharka Kapas aims to popularize old school Indian craftsmanship and textiles in this day and age. The name Khara Kapas literally translates into “pure cotton”, and that is exactly what the clothes are made out of. Think relaxed silhouettes, earthy tones and Indian textiles. Shipping charges on this website vary with the size and mode of consignment. So ladies, have you shopped from any of these websites? Let us know your experiences in the comments section below! Previous article 5 Bags To Buy Online That Look Way More Expensive Than They Are!